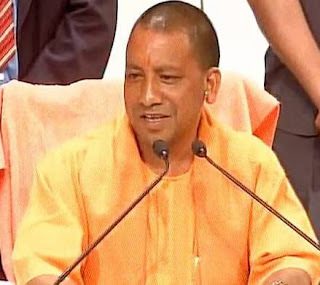 Yogi Adityanath is the current Chief Minister of Uttar Pradesh, India. He is the 21st Chief Minister of Uttar Pradesh. He assumed office on 19 March 2017. He is preceded by Akhilesh Yadav. Yogi Adityanath is an Indian priest and a politician who was born on 5 June 1972 at Pauri Garhwal in Uttarakhand, India. Sri Yogi Adityanath belongs to Bharatiya Janata Party. He is the founder of Hindu Yuva Vahini organization.